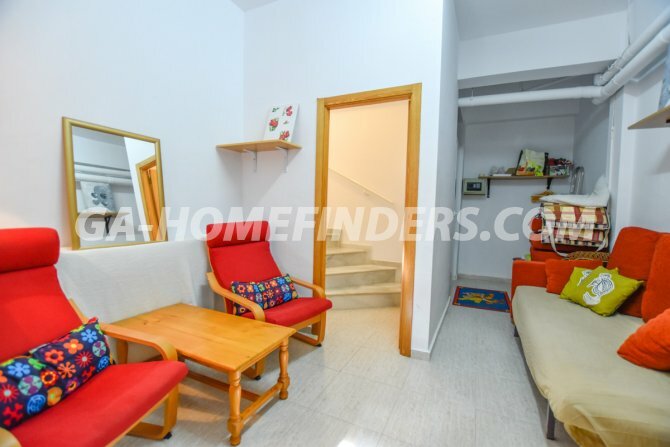 Townhouse which is furnished. 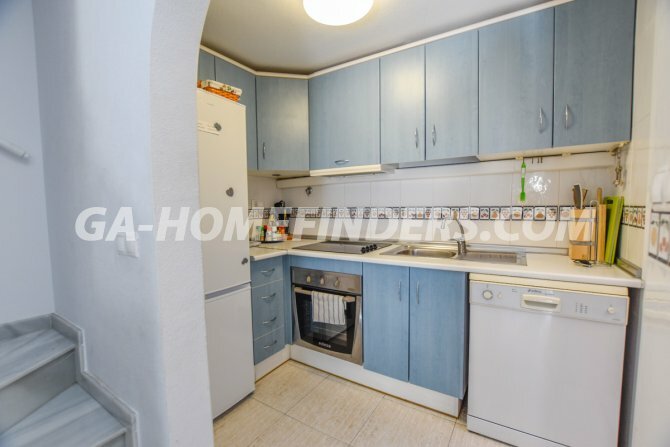 It has 3 bedrooms and 2 bathrooms. 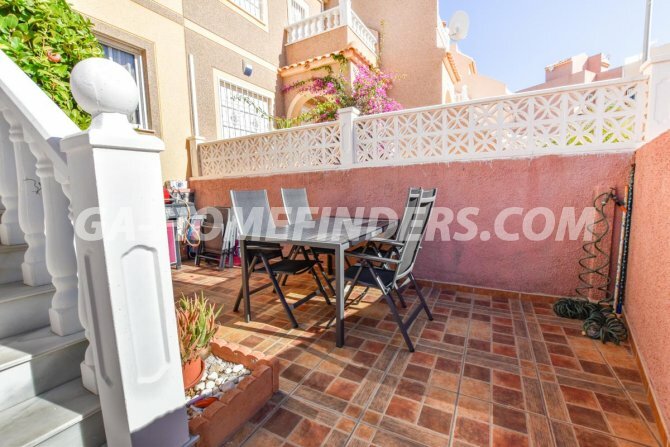 It has a large terrace at the entrance of the house. 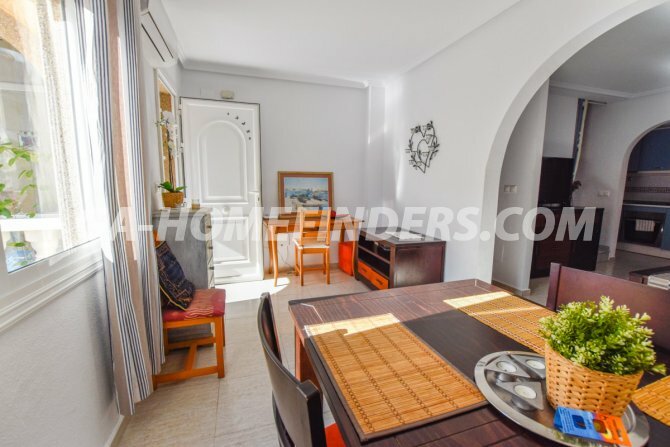 On the ground floor of the house there is a very large dining room, with open American style kitchen, with all appliances and a gallery. 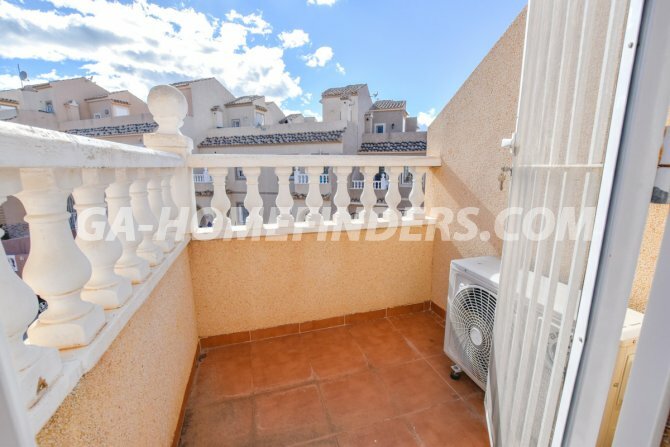 On the first floor there are two bedrooms with fitted wardrobes, one of them has a small balcony where you can enjoy wonderful views. 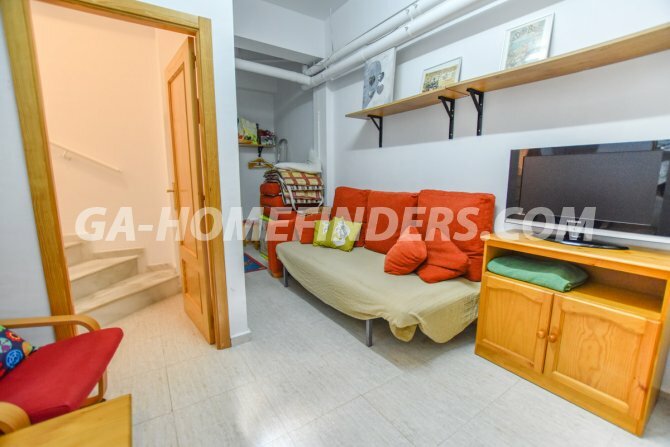 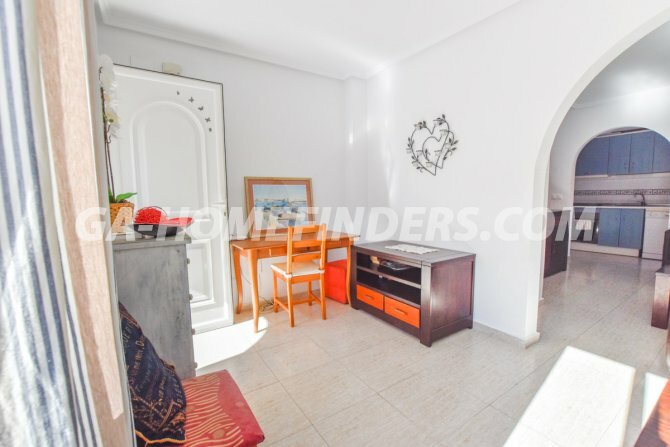 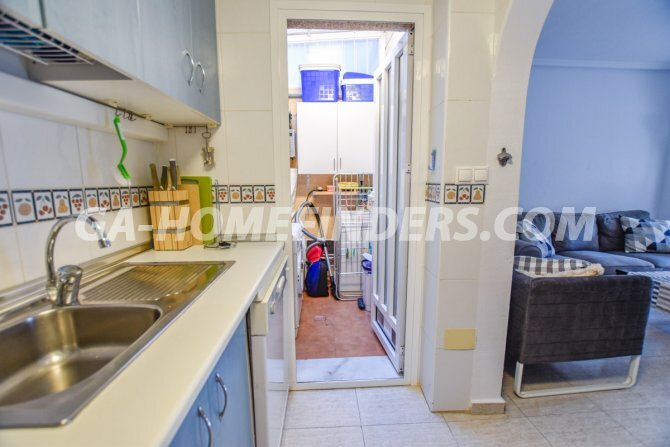 It has a basement with a bedroom, bathroom and a storage room and a large solarium. 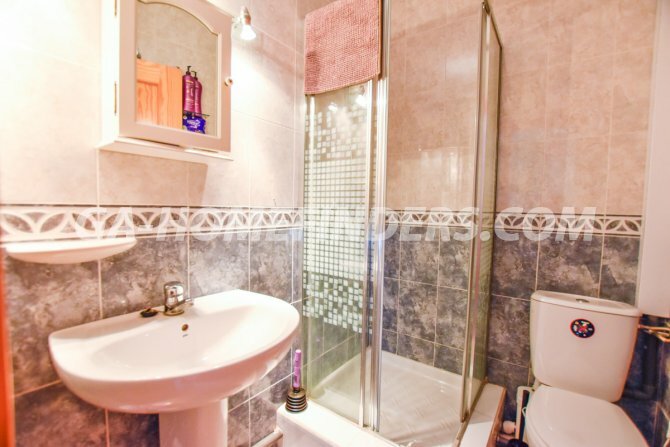 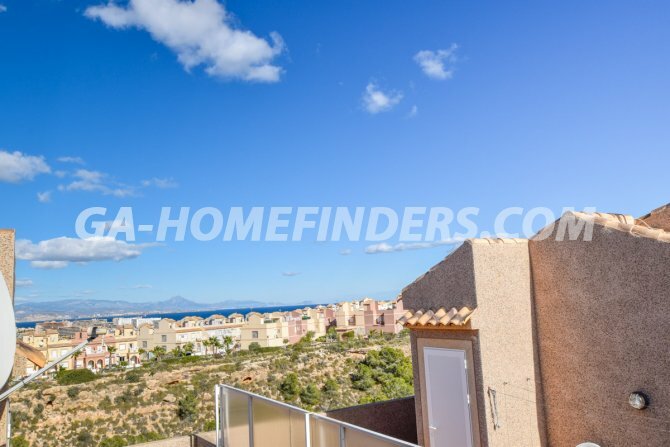 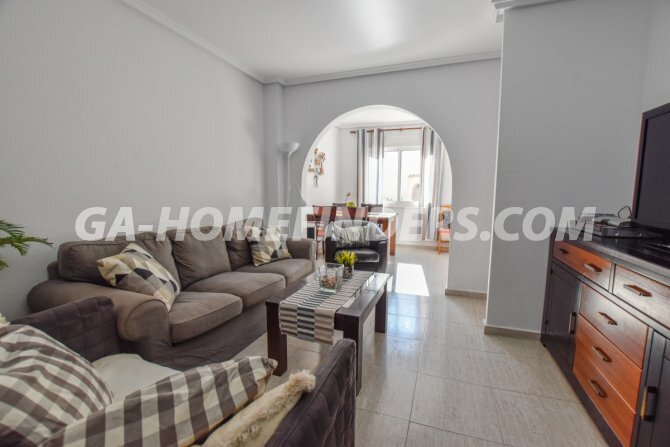 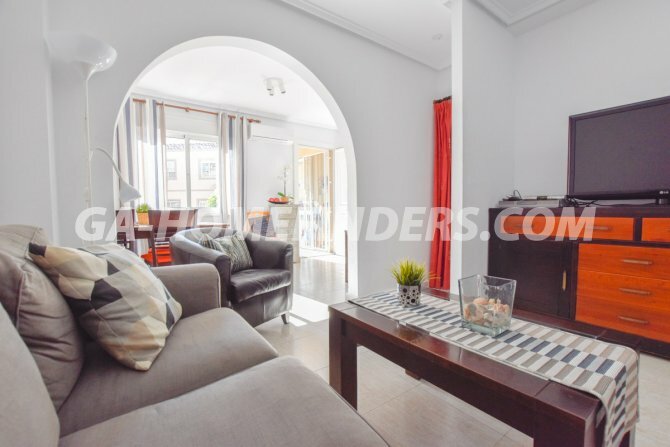 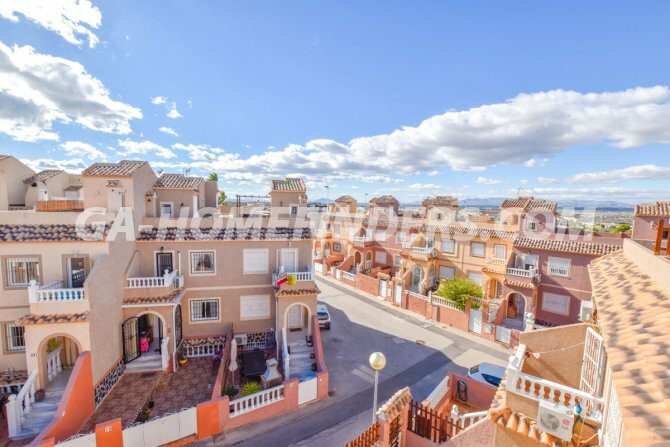 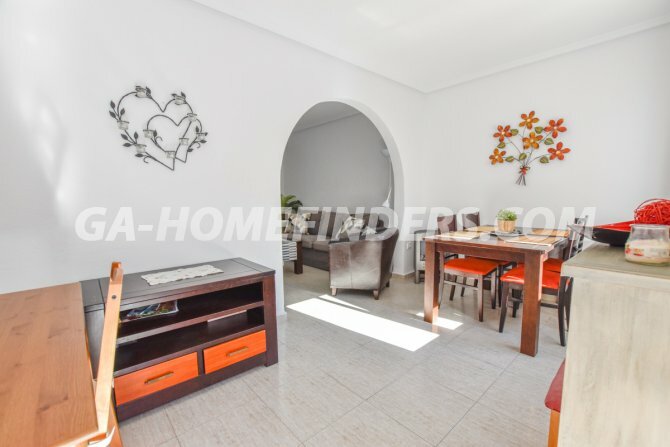 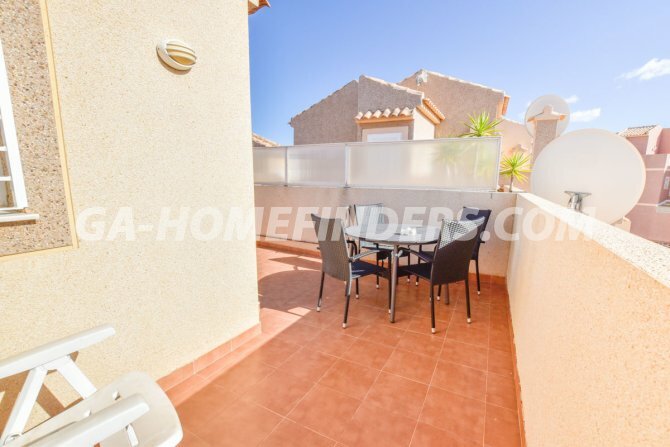 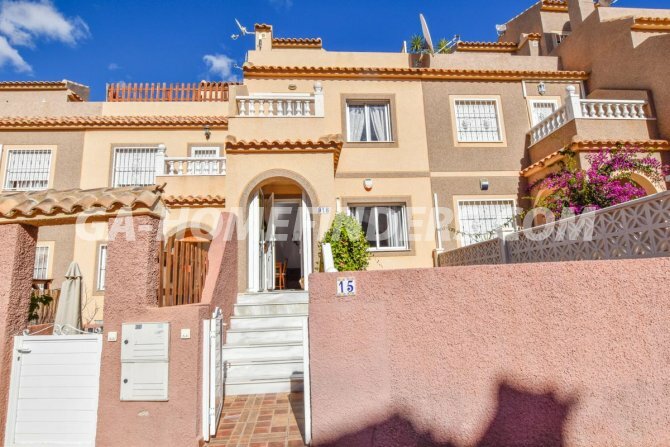 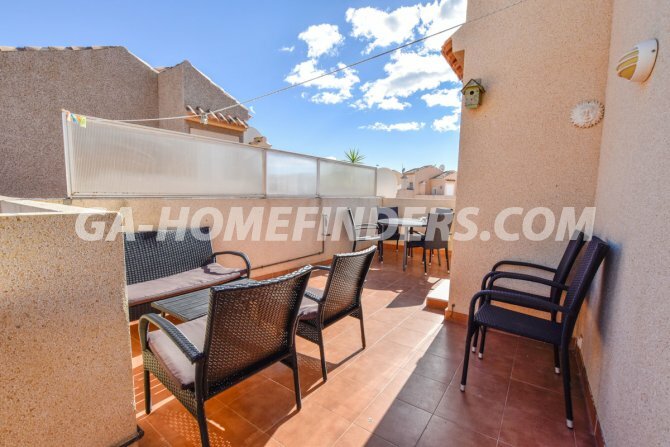 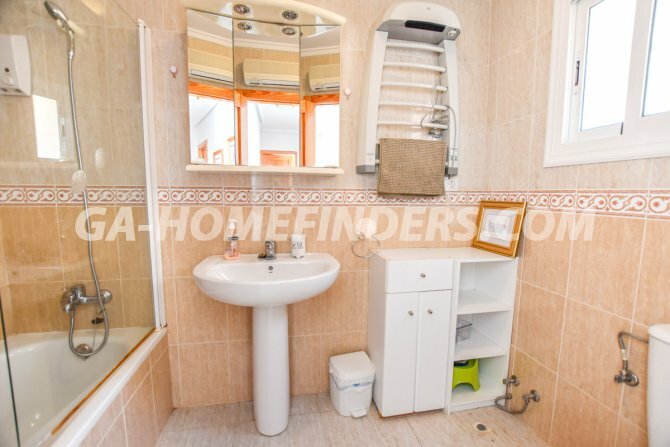 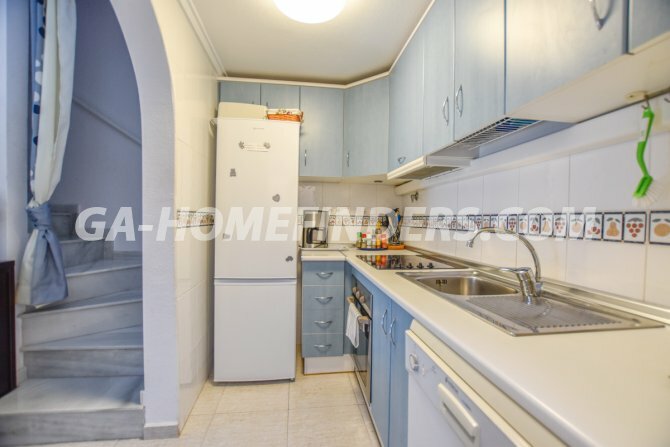 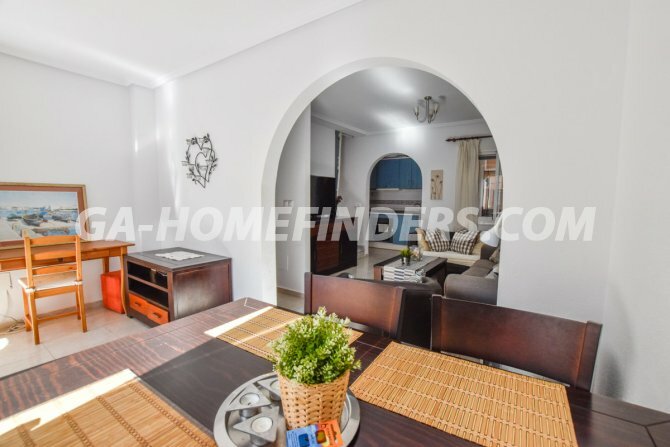 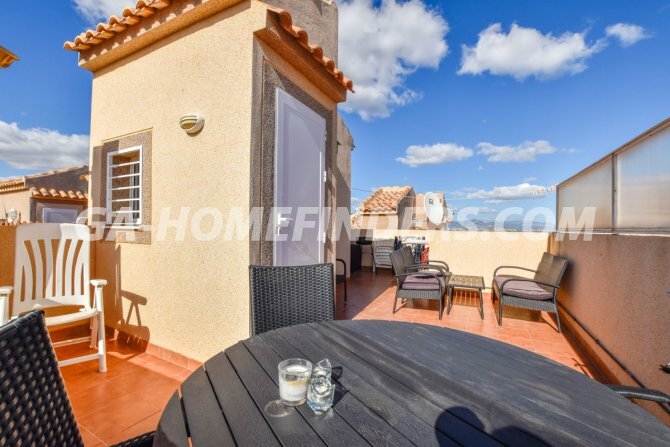 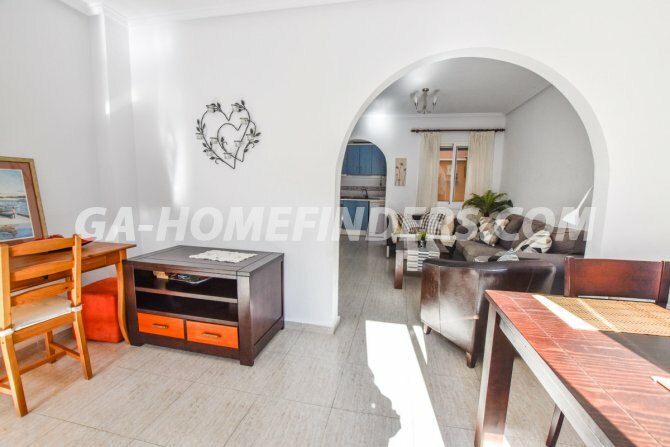 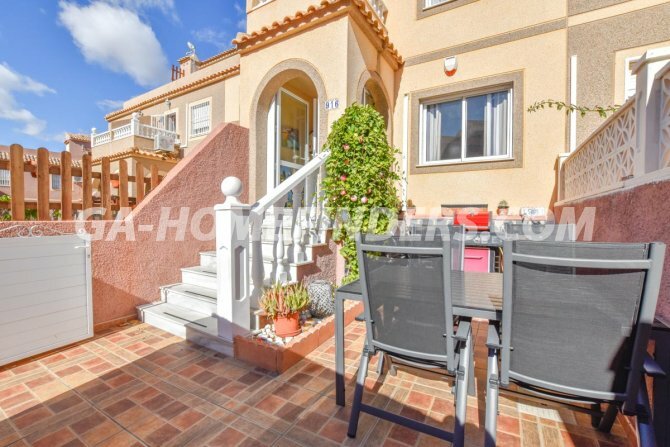 The house is located in the upper part of Gran Alacant, in a quiet urbanisation. 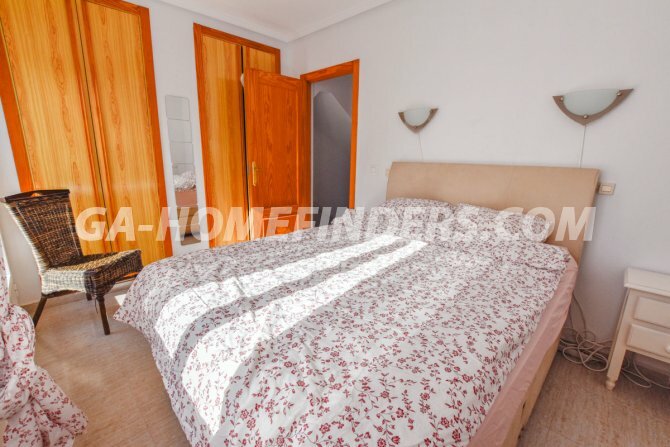 It is close to the service area, bars, shops, public transport.